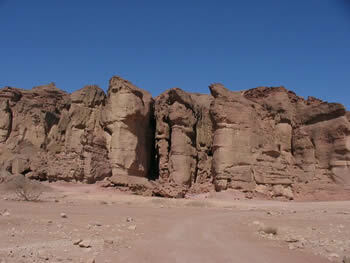 Timna is surely one of the most spectacular archeological sites that Israel possesses. The multi-colored sands and erosion-carved mineral-rich rocks of the southern Arava desert provide a fantastic backdrop; the legends and riddles that are woven, and for the most part solved or dispelled, around the ancient copper mines, appeal to the imagination, especially when one considers that the involvement of Egypt in Israel touches on some of the most famous Bible stories. 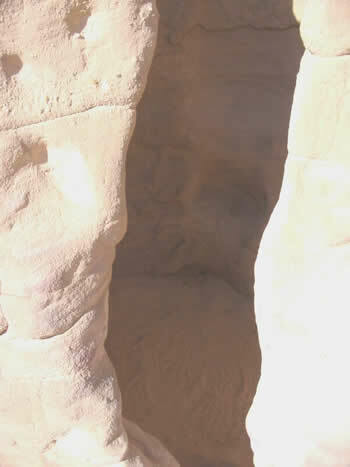 Large concentrations of copper (up to 55%) were already discovered in early times at Timna; the metal was locked up in ore nodules in the lower parts of the sandstone cliffs. They were collected, in later periods dug out in shafts, and smelted into malleable metal over furnaces, the remains of which can still be seen. 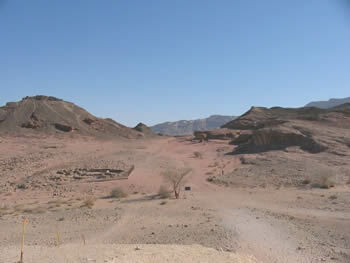 The mine at Timna is the earliest known example of such systematic and sophisticated mining in antiquity. Timna is not mentioned in the Bible as a topographical name but only as the name of one of the chiefs descended from Esau (Genesis 36:40). However there is reference to the mining of copper. In Deuteronomy 8:9 Moses tells the people of Israel that the Promised Land will be a good land, where "the stones are iron and out of whose hills you will dig copper." And in the Book of Job there is a poetic evocation of the lonely business of mining: "And copper is smelted from rock/ Man puts an end to darkness,/ And to the farthest depths he searches out the rock/ In gloom and deep shadow./ He digs a shaft far from habitation,/ without foot support they hang/ far from men they float (Job 28:2-4)." Interestingly enough, not much is known, if at all, about mining of copper by the Israelites. This is notwithstanding the stories that are abundant of these mines having belonged to King Solomon. Some esoteric websites and books will even inform the baffled reader about such connections as between the sunken land of Atlantis, Solomon's mines and the Dead Sea scrolls. But in point of fact there is no evidence that the mines ever belonged to Solomon or any other Israelite king. They simply did not rule so far south, although they did trade with Egypt and other neighboring peoples, and they did use  imported - copper objects: "the pots, shovels and sprinkling bowls; all these objects that Huram made for King Solomon for the Temple of the Lord were of burnished copper" (1 Kings 7:45). Timna was mainly used by the Egyptians, who started exploiting the mines from the 13th Century BCE, in cooperation with another local people, originally from the Arabian peninsula, the Midianites (in the Bible, Zippora, wife of Moses, was the daughter of their high priest, Jethro). The Egyptian pharaoh Ramesses III (1184-1153 BCE) explains in a papyrus how people (slaves that were used as workers) and goods were transported from Egypt to Israel: by galleys. They took off from the natural harbor on Pharaoh's Island (off the coast of modern Taba) and continued on donkeys. He further writes that the mines were very productive and "tens of thousands" of copper bars were brought back to Egypt. The Egyptians worked up the metal in all sorts of artifacts like jewelry, cultic objects etcetera. The Midianites later took over production in the 11th Century when the Egyptians had left. After that there was a long interval, until the Romans who had conquered Israel started mining again in the second century. And then, lastly, the state of Israel itself tried to revive large scale copper mining under the auspices of the Timna Mining Company but this was abandoned in 1970. The history of the copper mining is explained visually by a multimedia presentation. Beware of seasickness, as the audience is spun round in their seats. After that, most of the main attractions are easily reachable by car. From the main entrance a sign-posted road leads to the mining area in the west, near to the natural sandstone arches. It is only one of the mining areas. After the prehistoric phase during which shafts were made with stone tools, the Egyptians used metal chisels and hoes to dig tubular shafts up to 30 meters deep to the ore-rich levels in the sandstone. They contained niches for hand- and footholds to climb down. From the initial shafts 1 square meter tunnels branch out in all directions, following the ore vein, and sometimes widening into a larger chamber where the ore was taken out in bigger quantities. The ore would have to be dragged out along the tunnels and then hauled up through the shafts. There are also many cisterns for water collection; workers must have become extremely thirsty, not only because of the hard work but also due to the harsh desert conditions. 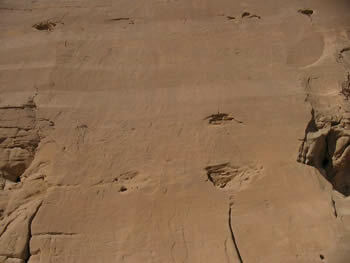 Most shafts (there are 10.000 of them) are today filled with sand and dirt carried by the wind or intentionally filled with debris from the mines, and they remain visible only by plate-like forms on the hills' slopes. On the road to the artificial lake, one passes the smelting sites on the right side, on the summit of the rock. They were fortified, and this probably means that they date to the first stage of the Egyptian exploitation of the mines, when they had not befriended the Midianites just yet. One enters the site through a gate defended by a tower. On the north-east side of the plateau a flight of rock steps leads to the top. There are man-made conical depressions in the flattened rock, which indicate that this part was used as an altar. The rest of the plateau is covered with broken slag, probably caused by later looting of copper pellets. Along the northern summit the defensive wall is seen. The entrance to the north-west part used to be flanked by two towers. The eastern section contained shelters for the workers. On the west was the work area. The smaller furnaces are the oldest; they are 35 cm in diameter and 50 cm deep. They were stirred up by small bellows made of goatskin and they lacked a tapping pit: the slag ran out on the ground and was then crushed to extract the copper pellets. The bigger furnaces, from the Egyptian period, did have tapping pits: larger bellows were used and their sides are covered with slag-tempered mortar which allowed for larger temperatures. They also had a dome-shaped top sometimes of stones to retain the heat. From the parking lot opposite the intriguing rock formation called Solomon's Pillars the Temple of Hathor can be reached by foot. It is just around the right corner of the formation. It was in use from 1300-1150 BCE and is, like all the holy places of ancient times, a simple square enclosure; the rectangle of paved stones around a niche carved in the rock indicates the cult chamber. Originally, two columns carrying the head of Hathor would have flanked the niche. Inside the niche, a statue of her might have stood. Hathor was the Egyptian goddess of fertility with great popular appeal among miners, maybe because she also had the power to resurrect the dead and the miners needed something to boost their courage when working in the pitch-black shafts. Originally she was represented in the form of a cow that gave birth daily to Horus the sun-god; later she became a woman with a cow's head and in still later representations she was all human. By way of the modern stairs one can view the inscription, in hieroglyphs, of Ramesses III offering sacrifice to Hathor. The courtyard of the temple was used as a workshop to produce figurines made of copper which were used as votive offerings. A great number of other assorted artifacts were excavated: seals of the Pharaohs who reigned from the 14th to the 12th century BCE, alabaster vessels, cat and leopard figurines of faience, seals, beads, scarabs and objects with the image of Hathor. After the Egyptians left, the Midianites took over the temple and they added some features, like an offering bench on the left and a small room outside against the east wall. They took down the Hathor pillars, and stood one on its head to form part of the row of standing stones along the western wall. During this period the building was covered by a red and yellow tent cloth with beads woven into it; rolls of this cloth have been excavated. In addition, Midianite artifacts were discovered: fine decorated pottery and metal jewelry. The most famous find is that of a copper snake with gilded head, which reminds one of the story of the copper snake which Moses placed on a stake in order to save the desert-weary Israelites from the deadly impact of (real) snake bites (Numbers 21:6-9). On the way back in the direction of the entrance is the mushroom camp, given its name because of a curiously eroded rock of 6 meters high. The remains of the workers' camp are fenced in. 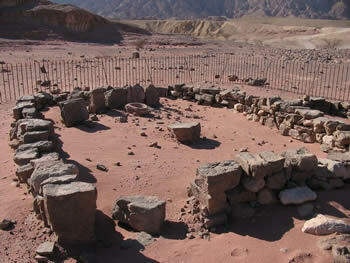 The first one holds a Midianite temple, like the Hathor temple a simple rectangular containing an offering bench on the right next to the entrance, a flat-topped altar stone in the centre, and a line of standing stones behind an offering basin. The next area contains the work courtyard, surrounded by living quarters and storage pits for ore from the mine and water cisterns. There is a deep stone-lined pit in the courtyard. The ores were pulled out of the pits and prepared for smelting on the stone table. First they were crushed and mixed with equally ground fluxes, composed of iron ore which is also found in Timna, and then water glued the mixture into pellets. A number of tools were found in the area which would have been used for this: mortars for crushing, granite hammers, anvils and a hand mill. The pellets were then dropped through the open top of the smelting furnaces. In the northern part of the courtyard are some casting furnaces: as soon as the globules came out of the smelting furnace they were then transferred to the casting furnace which produced the ingots that were exported to Egypt. Another sign-posted road leads to the rock carvings exhibition. The original carving in the sandstone is protected by a shield. It dates to the Egyptian period, from the 13th to the 12th Century BCE and depicted a procession of chariots, each drawn by two animals and with two human figures on it, who are armed with a dagger stuck in their loincloth and who carry a battleaxe and a shield. Added to this and superimposed are the carvings which are a bit more visible. They are probably made by the Midianites and represent hunters who with the aid of a dog are hunting ibex, ostrich and oryx. There is also a man with a boomerang. 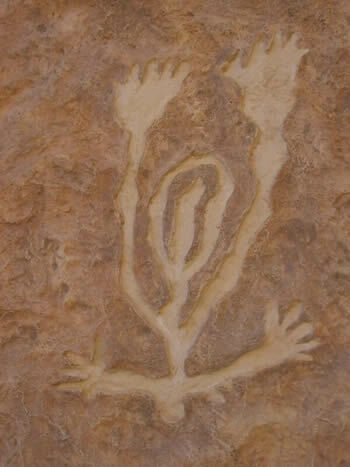 In the neighboring canyon are some copies of rock carvings from the Arava and Negev deserts. Some are very expressive, for instance the one of a woman in the throes of giving birth. 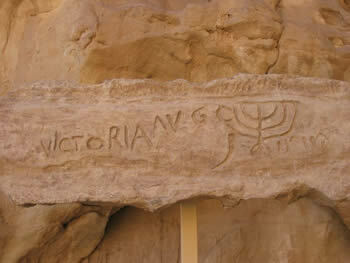 Another carving illustrates the competition between the Roman rule and Jewish rebels, and their respective scripts. Everyone is worried about consolidation and the recovery of debit cards, now our company offers you invicta watches & freestyle watches, if you buy both, you get one free accutron watches box.